Summer break is in full swing and we are always looking for ideas to stay busy and cool inside while the temperature soars in the desert around us. 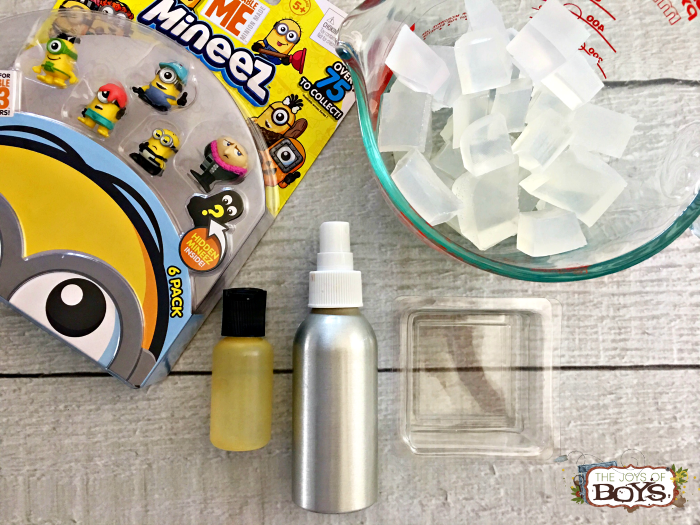 If you are a Despicable Me fan, your kids will love making these Minion soaps! My boys love spending hours and hours outside getting messy, but they don’t always love to scrub up when they are done. 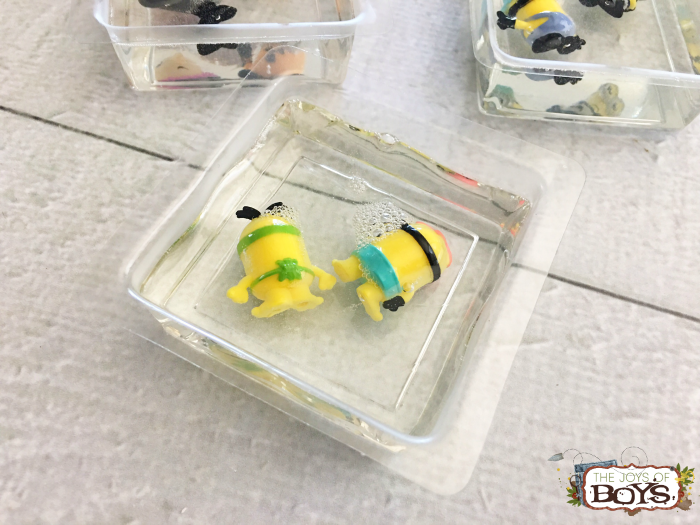 These Minions soaps and the LEGO soap we made in the past are a great way to motivate kids to get clean because there is a prize for them once the soap is gone. 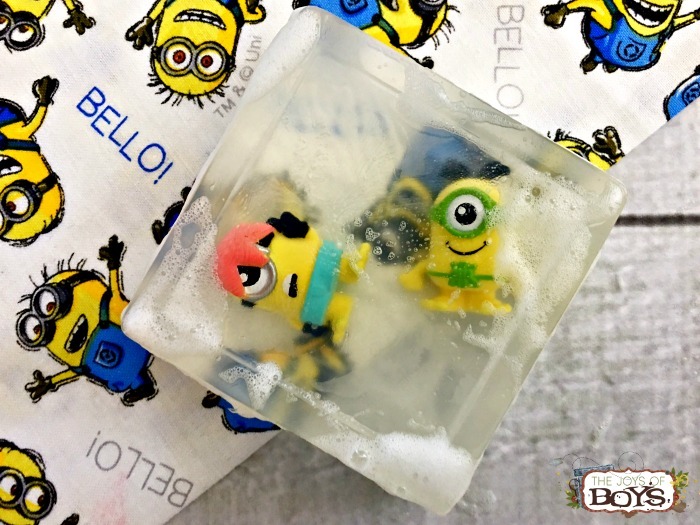 Minion soap is super easy to make! You only need a few items and you are good to go. 1. 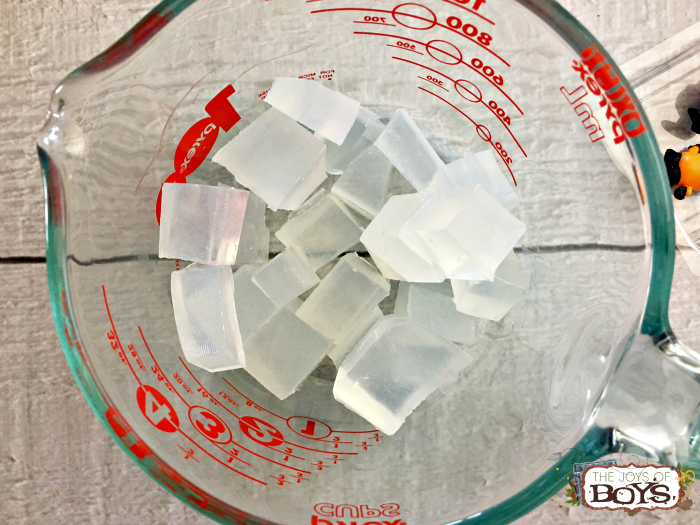 Cut about 15 ice cube sized pieces off your glycerin soap block. 2. 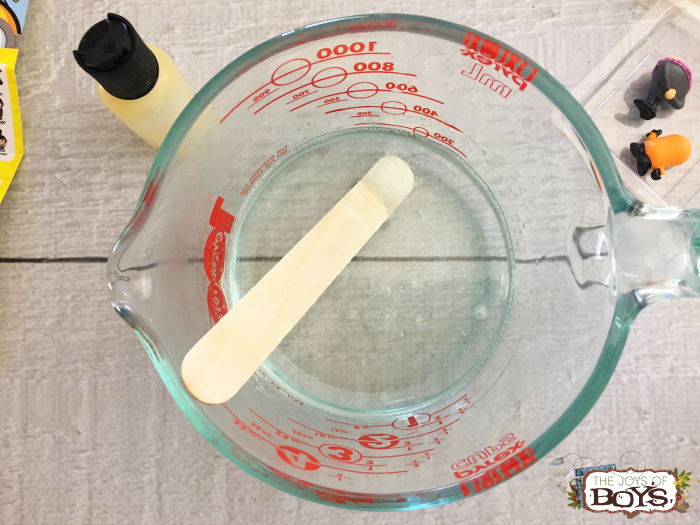 Place your soap cubes into your glass measuring bowl and microwave for 1 minute or until melted. 4. 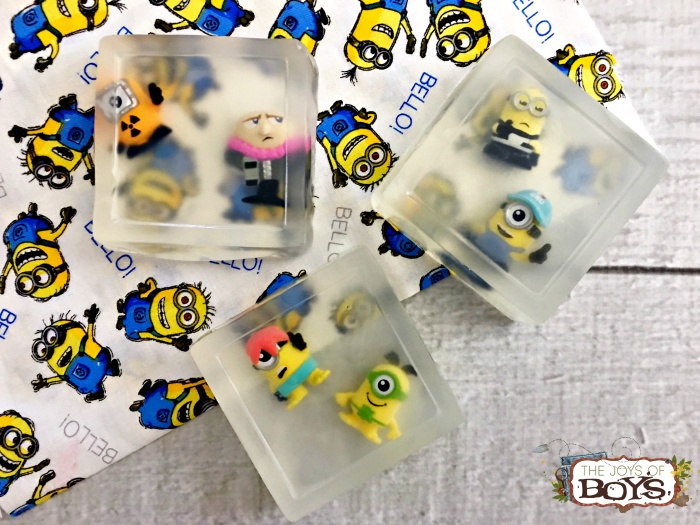 Place your Minions upside down in your soap molds. 5. 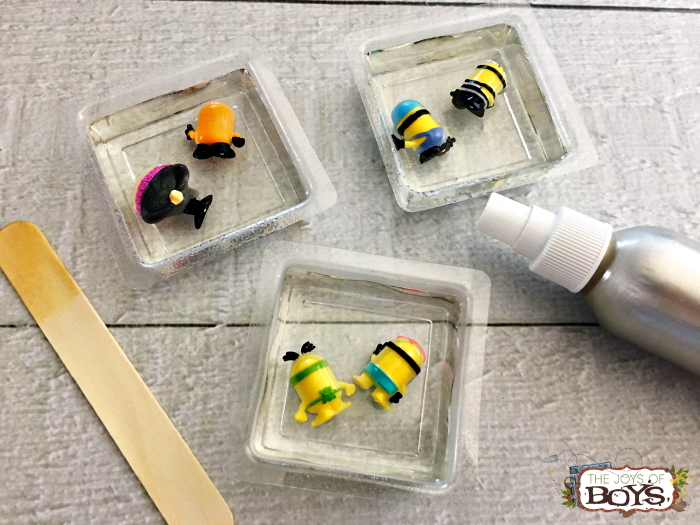 Using a pot holder, carefully pour your melted soap over your Minion mineez and spray the top with your rubbing alcohol (this will prevent air bubbles from forming). 6. Let cool at room temperature for 10 minutes then transfer to the freezer for another 15 minutes. 7. 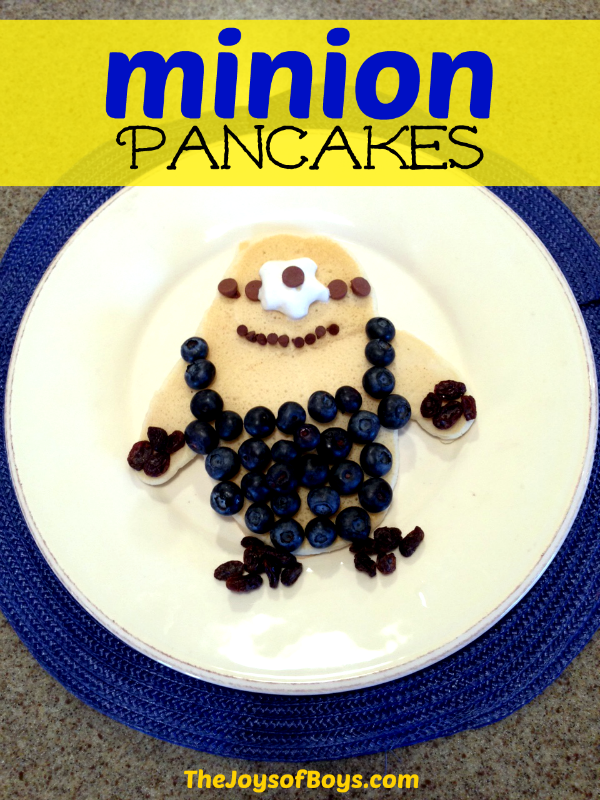 Carefully stretch the sides of your mold and press up on the bottom to remove your Minion soap. 8. 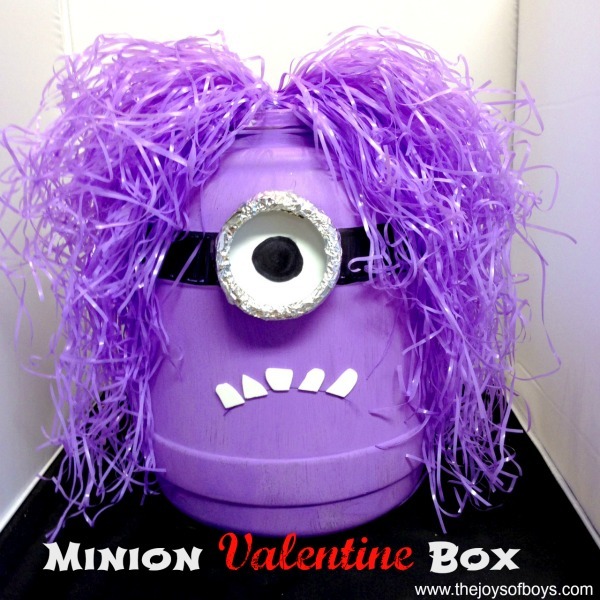 The kids are now going to love washing their hands! 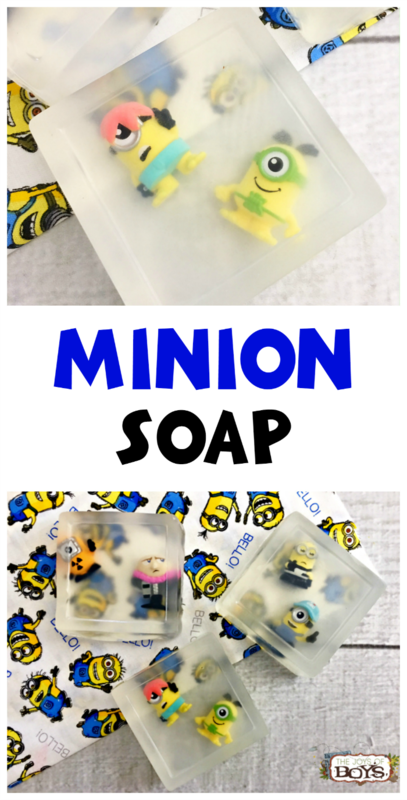 I hope this Minion soap is a big hit with your kids!